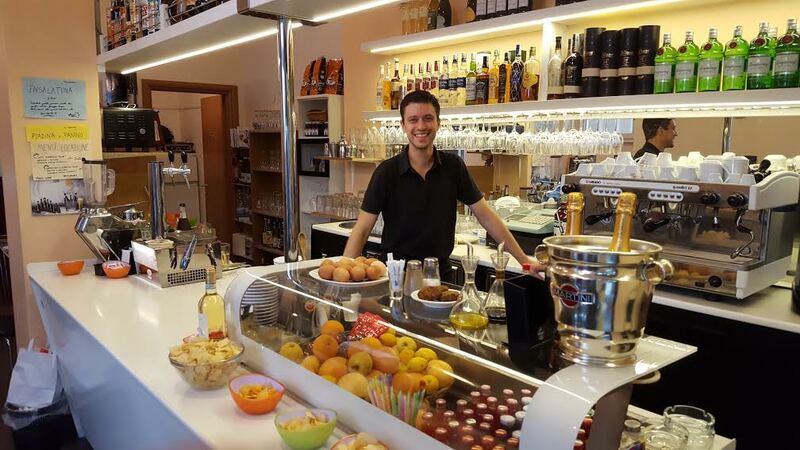 While on a recent trip abroad, my wife and I ventured off the tourist-beaten path in Verona and found ourselves enjoying a splendid aperitif in an unassuming cafe. Our host was Francesco Finetto who, with his wife, owns and operates Il Convivio with that combination of warmth and efficiency that seems to be uniquely Italian. A medical doctor, Francesco practiced for almost a decade. He then opted out, pouring his savings into the cafe. The passion, joy, and love he brings to the enterprise is obvious from the moment you walk in the door of the place. He greeted us with a sincerity that can be lacking in more touristy venues, offering us complimentary hors d’oeuvres and making suggestions regarding the cafe’s menu, which was charmingly written on a chalkboard. The food was simple, abundant, and delicious. He does what he loves, and he’s really, really good at it. Complimento, Francesco. Well done. And thank you for the grappa. What a beautiful place and a wonderful smile he has. Nice line up of spirits, too. Congrats to him and his wife. Hope you enjoyed your trip. This comment does not relate to the point of the article but I am always impressed by how old money folks seem to get so much more quality and experience out of their travels than the rest of us. I think the rest of us spend too much time traipsing after tour guides and miss some of the really great sites that a little exploration might turn up. I agree! Many people travel to foreign countries and end up falling into touristy traps instead of really experiencing what the locals see, eat, and do. What a neat little place. Sort of reminds me of The Barefoot Contessa store when it was open in East Hampton. It’s always inspiring to meet someone who spends the day doing something she/he loves. 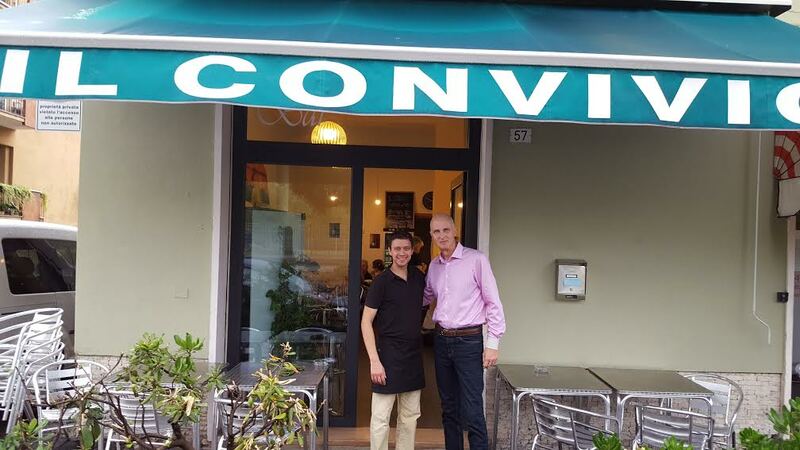 Now we all know where to go when in Verona, thanks, Byron.